The side design is characterized by the high, arching waistline and the sporty, low greenhouse with frameless side windows. The forward-slanting front end is reminiscent of a shark’s nose, and appears longer thanks to the fully inset hood. The contours follow the design philosophy of sensual purity: lines and edges are greatly reduced, and the surfaces are generously arched. The CLS450 is equipped with a high-resolution central display with a wide screen diagonal of 12.3 inches, and is optionally available with two 12.3-inch displays that merge to form a wide-screen cockpit beneath a shared, continuous glass cover. The center console with open-pored or high-gloss wood appears to be free-floating thanks to its surface trim. ENERGIZING Comfort links various comfort systems in the vehicle. It systematically uses the functions of the climate control system (including fragrancing) and the seats (heater, ventilation, massage), the surface and steering wheel heating as well as lighting and musical atmospheres, and allows a specific wellness set-up tailored to the mood and need of the customer. As a result, well-being and performance levels are enhanced. The “Assistance Graphics” menu of the instrument cluster shows the driver at a glance which assistance functions have been selected, and to what situations the systems are currently responding. Unmistakable icons provide the driver with information on-screen as well as in the head-up display. All functions are now controlled from the steering wheel. 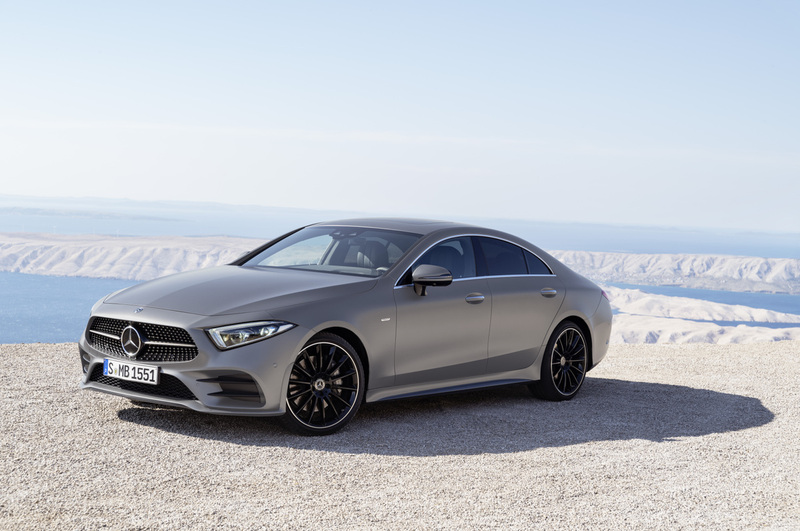 The new, systematically electrified in-line six-cylinder with EQ Boost (integrated starter/generator) and a 48 volt onboard electrical system powers the CLS450 and CLS450 4MATIC. Its performance data: 362 hp and 369 lb-ft plus a further 21 hp and 184 lb-ft of torque available via EQ Boost over short periods. The integrated electric motor known as EQ Boost assists the combustion engine, for example when accelerating, makes driving without the combustion engine possible (“sailing”) and supplies the battery with power by means of high-efficiency recuperation. By doing so it makes fuel savings possible that were previously the exclusive domain of high-voltage hybrid technology. All in all, the new in-line six-cylinder engine delivers the performance of an eight-cylinder engine with significantly lower consumption. 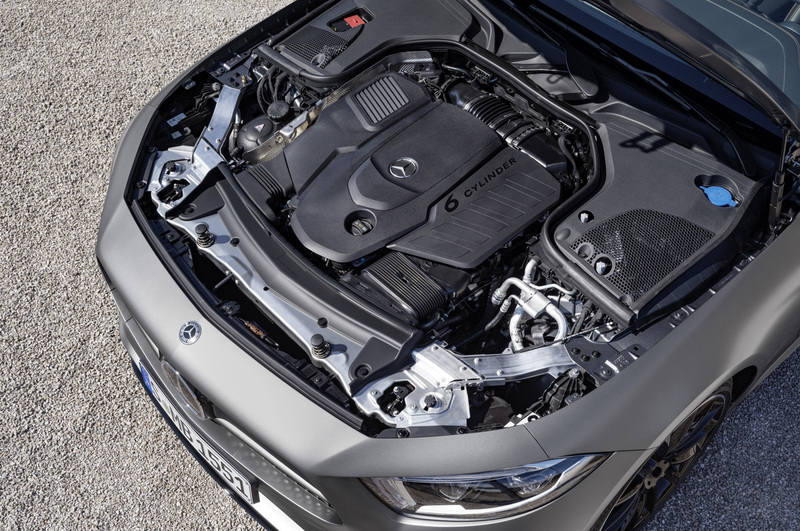 The CLS450 is equipped with a particulate filter as standard. The exterior is based on the AMG Line. 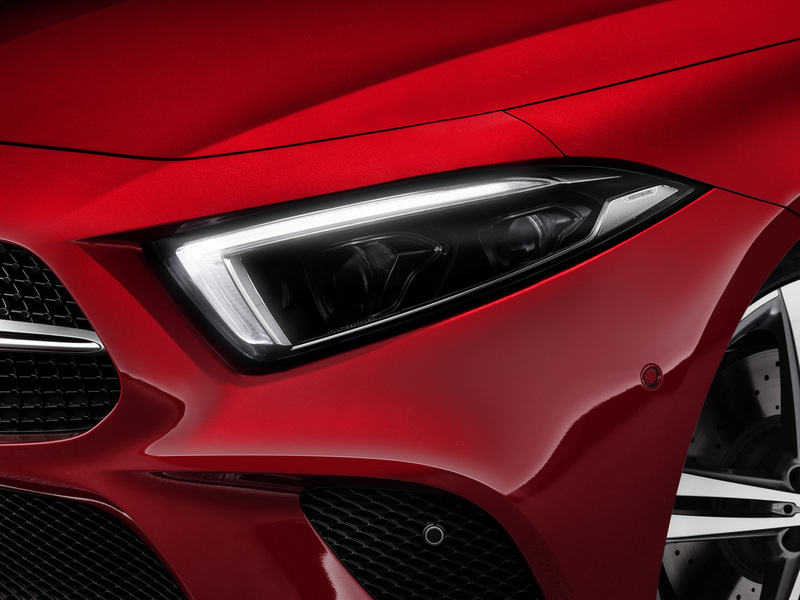 Special features include the LED Intelligent Light headlamps as standard and 19-inch multi-spoke AMG light alloy wheels painted in black with a high-sheen rim flange. The special model is recognizable by the “Edition 1” lettering on the front fenders. Chrome “Edition 1” lettering on the center console and “Edition 1” display on the welcome screen.